ScreenToLayers capture your screen as a layered PSD file added to Graphic directory. 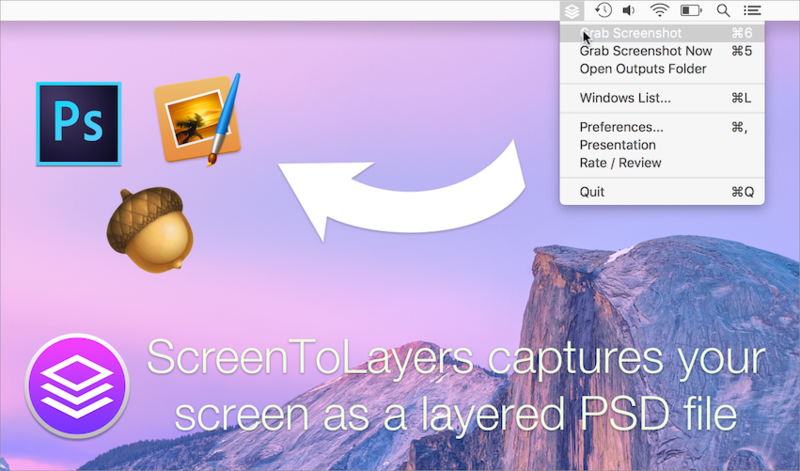 ScreenToLayers is a macOS application to easily capture your screen as a layered PSD file. This idea is not original and comes from a great application named ScreenShot PSD. However the app is not optimized for El capitan and doesn't support retina screen. That is why this open source alternative was done. The simplest way to get the latest release of ScreenToLayers is to download the application through the Mac AppStore. The application is totally free and it is updated when major changes are made.